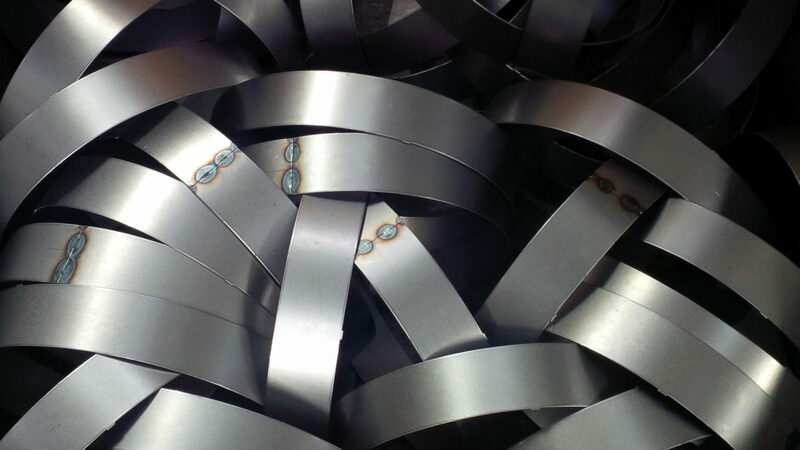 We have a range of sheet metal rollers both manual and powered which we use regularly to produce curved sheet metal parts from just a few millimetres wide up to 1200mm wide. 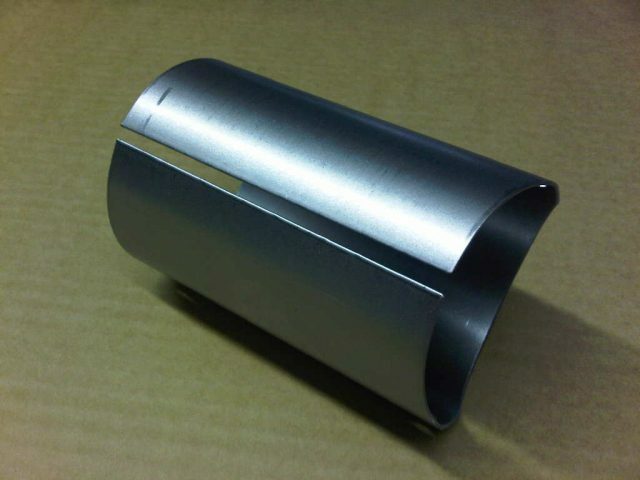 Our rollers are designed for thinner gauges of aluminium, mild steel, some light gauge stainless steel and reflector aluminium materials. 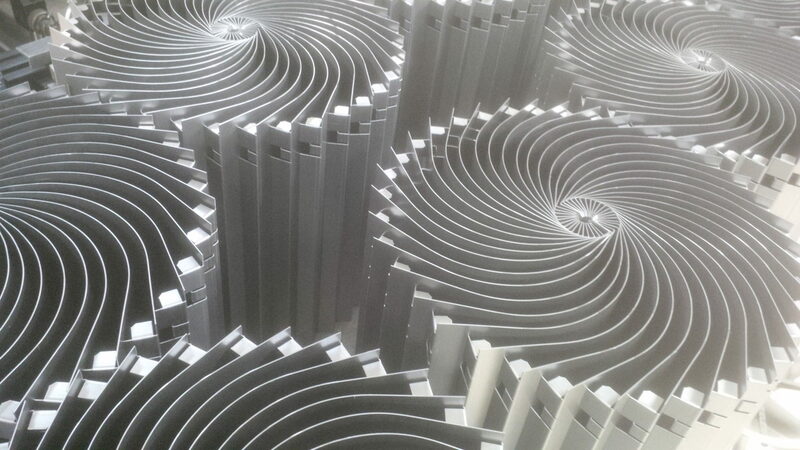 As well as standard rollers we have also manufactured special shaped rollers to create involute sections often used in air conditioning fan housing. These special roller sections and hand formers are normally used where larger volume batch sizes are required to remove the need for several rolling operations. 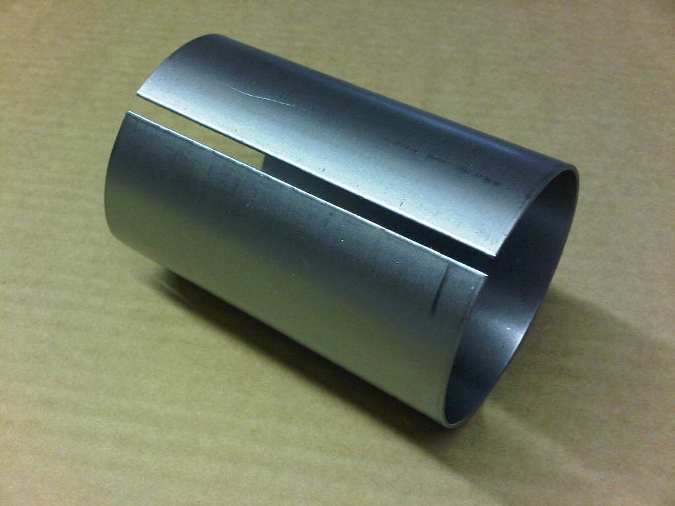 The standard rollers can be set to produce very tight curves, right round to form tubes or opened out to very slight rads that are hardly noticeable. 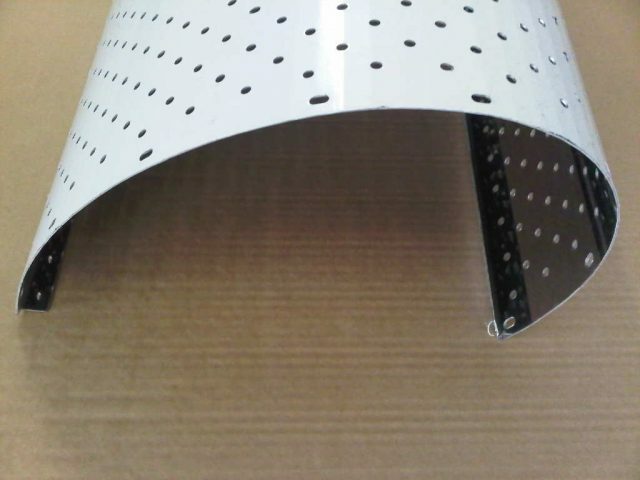 The range of sheet metal parts that we roll is huge and only a few can be show here. 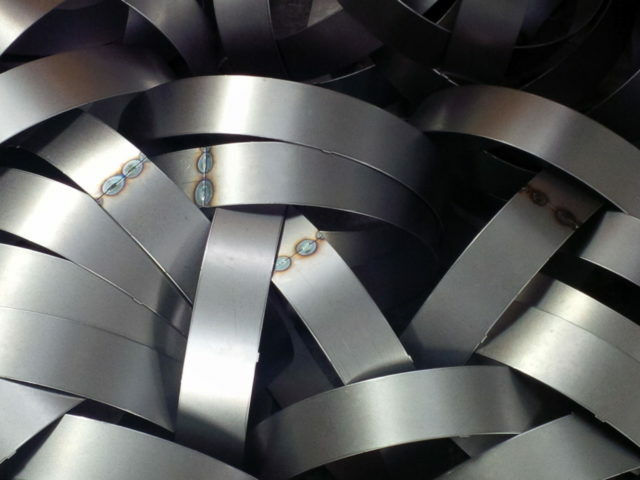 As well as simply rolling sheet metal between 3 rollers there are other manufacturing methods that can be used to produce curved section in sheet metal work. 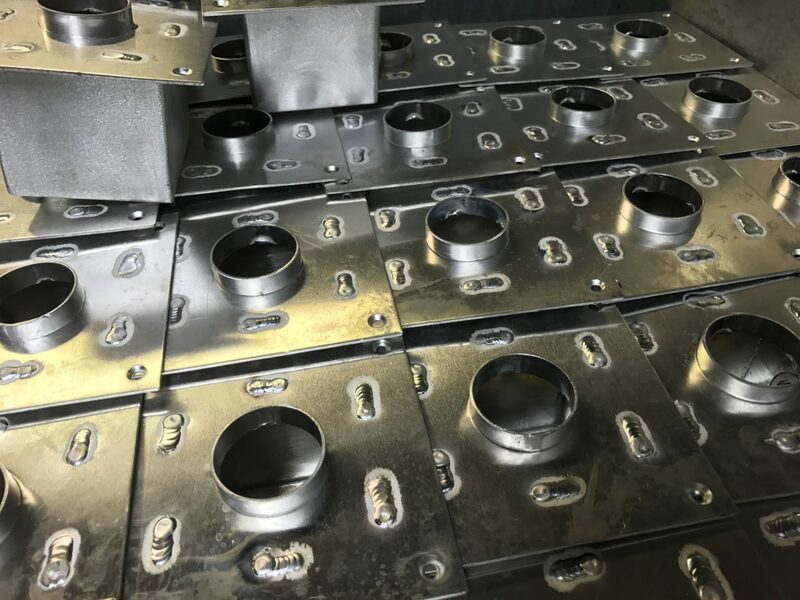 It’s worth mentioning CNC press brake forming and CNC multi-bending on the same page as these production methods do produce other types of ‘curves’ in sheet metal work. If the batch sizes become higher or if the profile is not a consistent cross sheet, forming on a CNC press brake certainly becomes a viable manufacturing option. 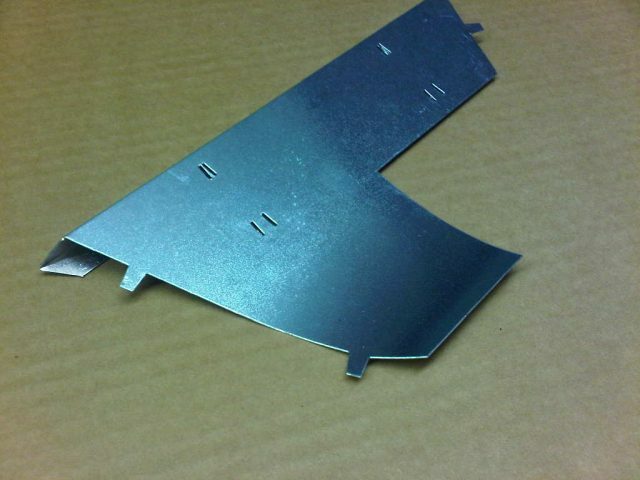 The advantage of forming sheet metal parts is the ability to build in extra bends, offset rads and mainly the speed that the sheet metal parts can be produced having several standard operations built into one. The downside of forming is that once a tool has been manufactured any design changes can be time consuming and possibly costly to implement. With rolling the sizes can be changed to suit the latest issued drawing without any tooling considerations. As with all sheet metal manufacturing options there are often several ways of producing the desired component and we would work with you to find the most efficient for your design and batch sizes. 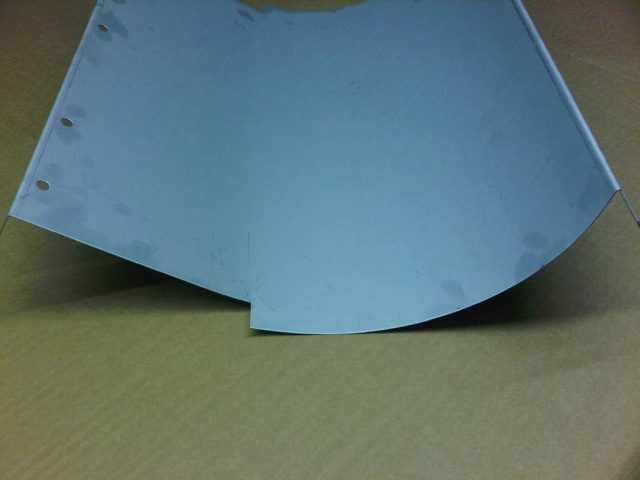 Sometimes a curved section is required in a sheet metal part and there are not the volumes to justify special CNC press brake tooling and it cannot be rolled. 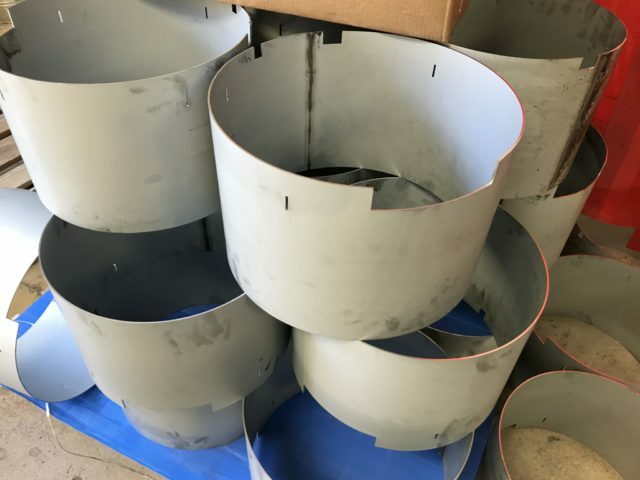 We have a trick that can often be used which is to simulate the curved section within the sheet metal by pressing is a series of tangentially flat sections. These ‘curves’ can be thought of as a smoother 50p piece. The closer the bends are together the better the match will be to the curve but the longer it will take to produce the parts and the more they will cost. 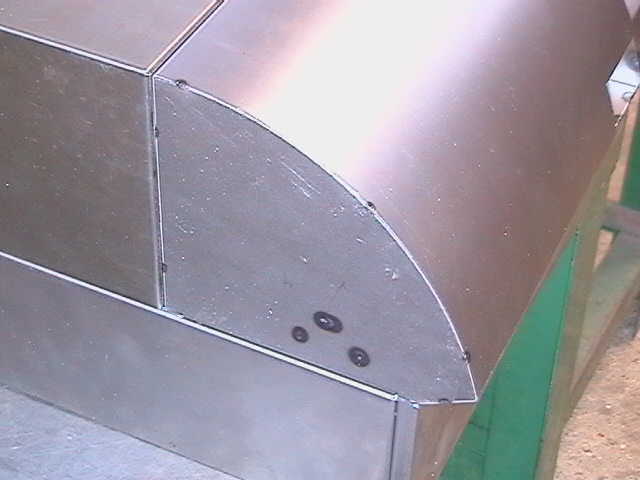 There are some sheet metal parts that we produce where the individual bend lines give a pleasing fluted look which can be seen in the white plastic coated stainless steel elliptical cover shown on the right. 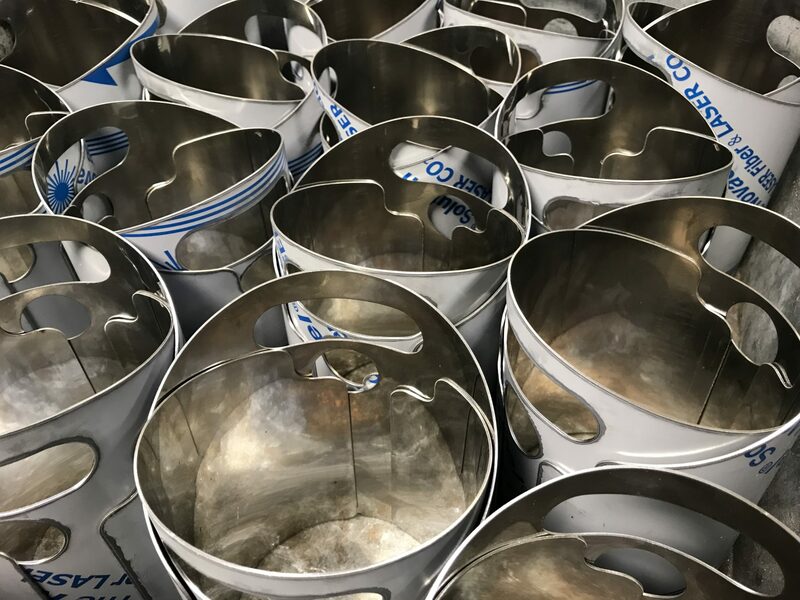 As with many of these production methods there are often different options which can impact on the cost of the part being manufactured, possible tooling requirements and the flexibility to produce samples and respond to changes in design. At V and F Sheet Metal we are always happy to discuss your specific design projects and recommend the best solution to meet your needs. 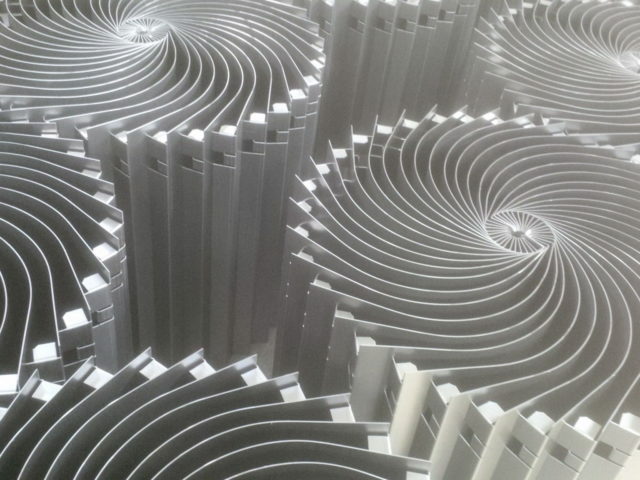 Stainless steel tubes laser cut and rolled into tubes. 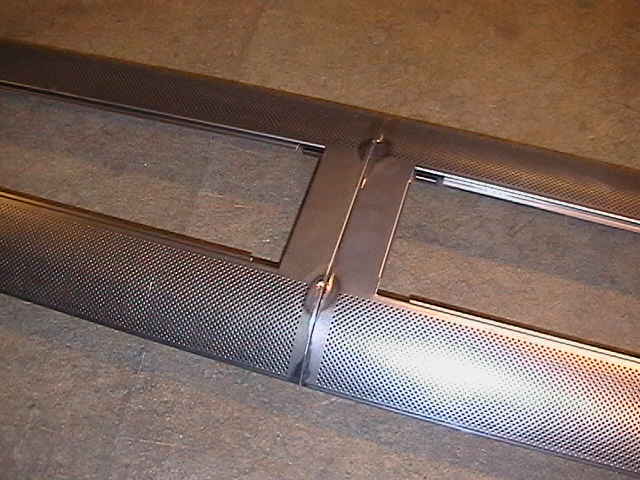 These parts are used as flood light housing covers. 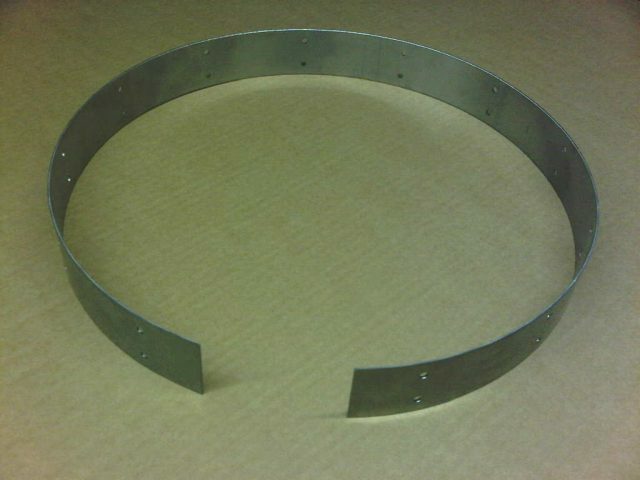 Simple mild steel bands laser cut and rolled to size with TiG welded joints.